Shruti Rajalakshmi Haasan (born 28 January 1986) is an Indian film actress, singer and musician known for her works in Telugu,Tamil and Hindi films. She was born to veteran actor Kamal Haasan and Sarika. As a child artist, she sang in films and appeared in a guest role in her father's Hey Ram (2000), before making her adult acting debut in the 2009 Bollywood action drama, Luck. She later went on to win critical acclaim for her role in the Walt Disney fantasy film in Telugu, Anaganaga O Dheerudu, Oh My Friend and 7th Sense. In 2012, she starred in Gabbar Singh, a Telugu remake of Bollywood Dabangg, which also was her first major commercial success as an actress. 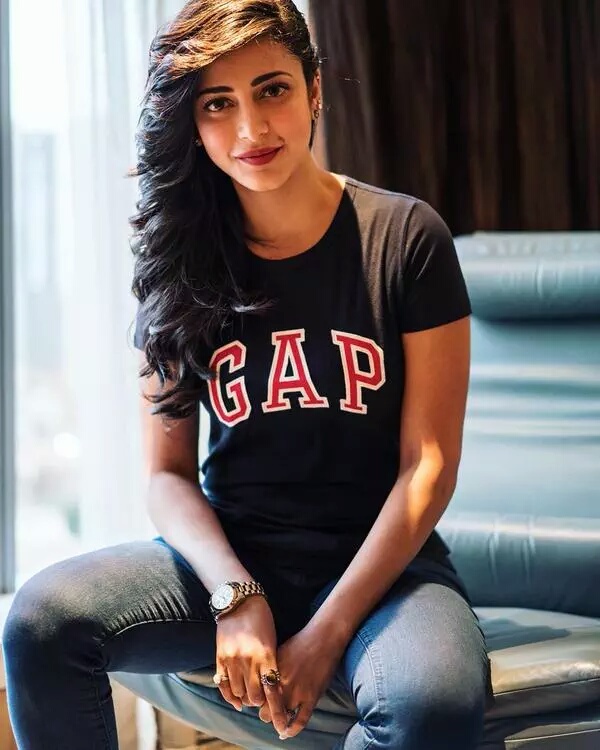 After several successful films like Balupu, Yevadu, Race Gurram & Srimanthudu, she established herself as one of the leading contemporary actress in the Telugu cinema. In a recent poll conducted by Chennai Times Shruti topped the list of most desirable women.She has also continued her stint in music through work as a singer in Indian languages, a career in music direction beginning with her father's production Unnaipol Oruvan and her own music band and album.